On a lazy afternoon in the Masai Mara, southern Kenya, three lion cubs are roused from their siesta. Spotting something in the grass, the inquisitive trio move in for a closer look. Captured by a remote camera disguised with elephant dung and grass, these intimate images give a unique insight in to the life of a jungle king. 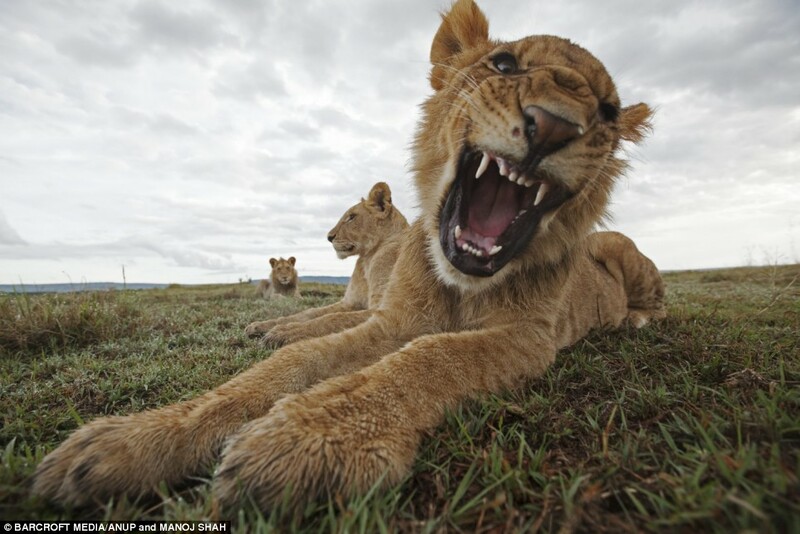 Wildlife photographers Anup and Manoj Shah have spent a total of six months in the heart of the Masai Mara, photographing some of the 20 prides that roam the area. Travelling to the nature reserve last July, the brothers used remote and stand-alone cameras to capture images of the Ol Kiombo, Paradise Plain, Bilashaka and Topi Plain prides. Observing their behaviour and interaction, the Shah brothers returned in February, March and April this year to see their progress. 'Like Einstein said, "There is no one true perspective", and in these photographs we achieved a perspective that we had never imagined,' says Anup, who lives in Watford, Herts. 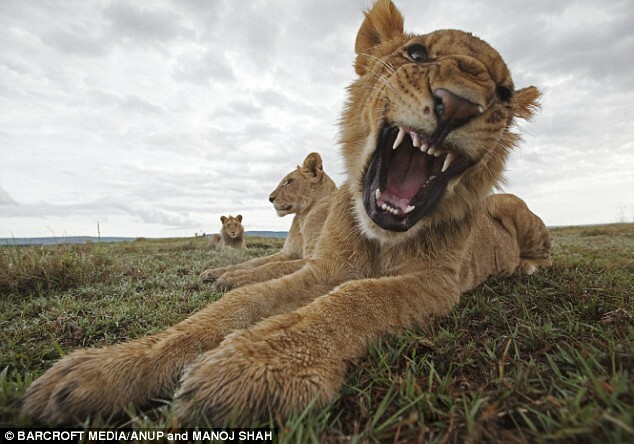 'I am most satisfied with the images which show the personality of the lions. 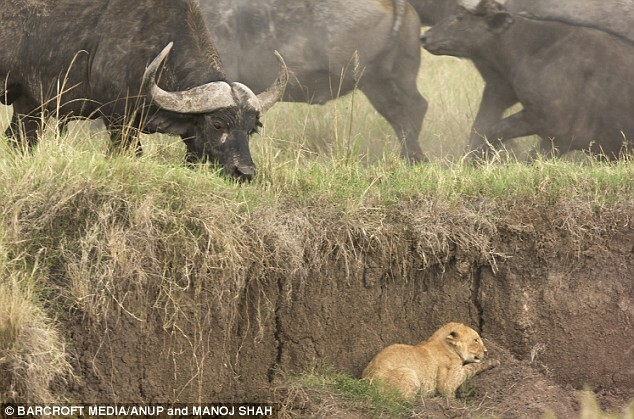 Born and raised in Kenya by Indian parents, brothers, Anup and Manoj are self taught wildlife photographers. Concentrating on the behaviour of mammals, the brothers were astonished by the results their remote cameras brought. Placed near watering holes and resting places of each pride, two remote cameras were triggered by movement with images automatically taken every time an infrared beam was broken. 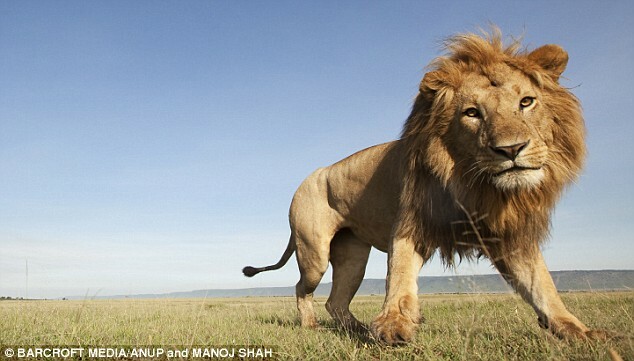 'I have known and followed these prides of lions for over ten years,' explains Anup. 'Lions are creatures of habit to a certain extent and so you can predict where they are going to rest, where they might go to drink water and so on. 'Each pride keeps on moving so we would position the two remote cameras before a pride would arrive at each point. 'At the end of the day we would collect the camera and drive ahead of the pride their next destination. Set up in 1961, the Masai Mara National Reserve in southern Kenya, covers 1,510km2 of open grassland and savannah, studded with arcadia trees. There are 20 prides (and a total of 400-500 lions) but the Bilashaka pride is the most famous, having featured in the BBC's Big Cat Diary series since 1996. Picking up the the Bilashaka pride in 2008, Anup and Manoj followed the nine cubs, four females and two males for over a year. 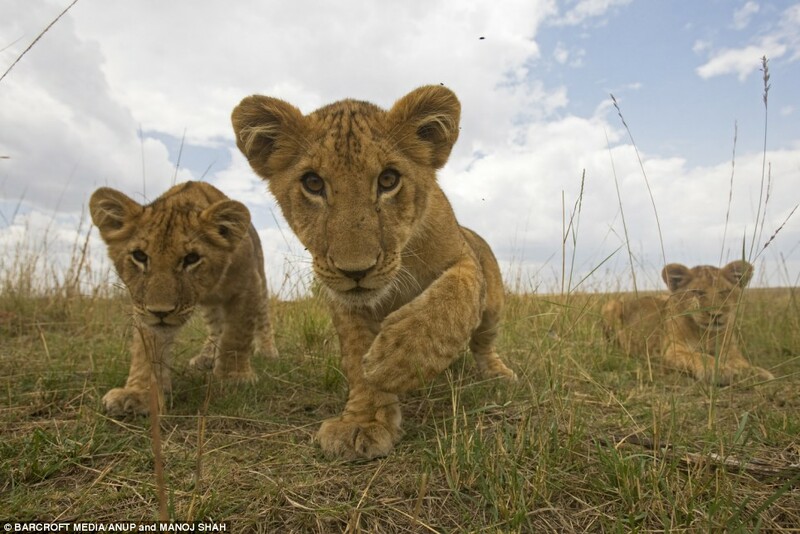 Upon their return to the Masai Mara in February this year, the brothers were able to capture the rapid growth and changing behaviour of the Bilashaka pride and their cubs. 'We followed the Bilashaka cubs from when they were three months old to when they are one year and above,' he says. 'Their behaviour evolved in just a few short months. As they got older they became less inquisitive and more in tune with hunting. Set to be showcased in a new book, 'The Lions Of Mara', which will be released in 2011, the brothers will return to the Masai Mara later this year to collate more images to finish their project.